Redefining Required ReadingWhere Are Trans Women Writers in the Classroom? 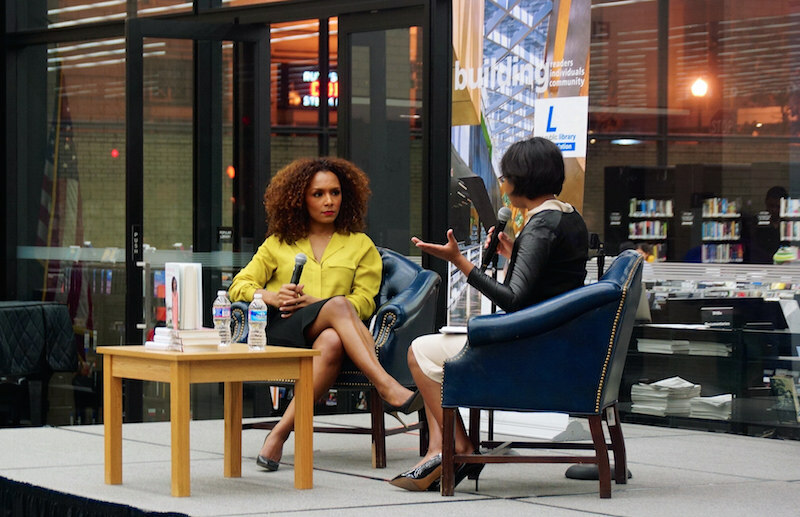 Janet Mock packed a Washington, DC library for a discussion of her book Redefining Realness in 2014. Photo by Ted Eytan. 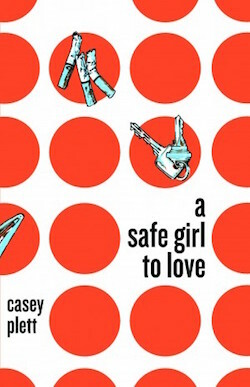 Over the past decade, there has been a literary renaissance for trans women writers. 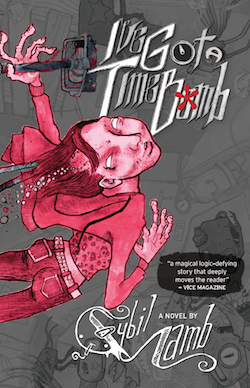 Julia Serano’s 2007 book, Whipping Girl, was a crucial argument for transfeminism early in the movement, as it exposed how trans-exclusionary radical feminists have damaged feminism for years. Janet Mock’s Redefining Realness, published in 2014, opened a widespread conversation on transitioning and trans women of color. 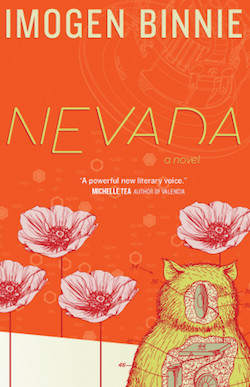 And the New York–based independent publisher Topside Press, founded in 2011, has taken the queer world by storm with its various trans fiction publications, including Sybil Lamb’s I’ve Got A Time Bomb, Casey Plett’s A Safe Girl To Love, and Imogen Binnie’s influential debut novel, Nevada. Trans women writers have made their voices heard in the literary world, and their work is certainly here to stay. But academia seems to have left trans women behind. Despite the fact that trans students are now more visible than ever on college campuses, few classrooms focus on the stories of their lives. Why is that? Where are trans women writers in the classroom? Sloane Cee is a transgender woman studying computer information systems in Southern California. She regularly writes for the feminist video gaming publication FemHype and creates autobiographical interactive fiction in Ren’Py and Twine. The gaming industry’s freelance writing community has welcomed her work, but life at her university has not been so easy. Cee’s field is dominated by cisgender men, and trans issues are absent in her classes. Professors are not exactly the most accommodating, either. Repeatedly, Cee has had to walk her professors through her name, pronouns, and gender identity. Their lack of knowledge on transitioning, she fears, only makes the campus climate worse. Cee is right. Trans women writers such as Jessica Lachenal and merritt kopas regularly discuss the relationships between gender, technology, and sexuality. These writers have not just addressed the messy problems that trans women deal with on a daily basis online, but they have done so with style, grace, and critical acclaim. Yet despite kopas’s interactive journey through taking hormone replacement therapy, and Lachenal’s writings on transgender inclusion in tech, their work, and other work by trans women, remained missing from Cee’s classrooms. Aya Brea is a 19-year-old trans woman studying to be a clinical psychologist and life coach. Brea began her transitioning when she first stepped foot on campus. She currently serves as a student worker at her university’s social justice center. Brea finds her university’s faculty to be more accommodating in many of her gender studies courses. But she also notes that discussions on trans women vary from classroom to classroom. “Not very many classes are knowledgeable about anything trans-related,” Brea adds. When trans literature is missing from the classroom, students suffer from a lack of proper education on trans women’s lives. This, Brea notes, can exacerbate negative treatment of trans women on campus. Thanks in no small part to the rise of feminist literary criticism in the 20th century, today’s literature instructors are fascinated by gender identity in the Western canon. It’s not uncommon for undergraduate curricula to focus on As You Like It’s lesbian subtext, The Canterbury Tales’s nods to feminist socio-economic empowerment, or Howl’s homoeroticism. In the 21st century, instructors challenge students to think about literature in new ways. Three years later, Park’s claims remain as relevant as ever. Amy Cooper is a fifth-year doctoral candidate in the Literatures in English program at Rutgers University. She studies 16th and 17th century works with a particular focus on poetry from the era. While instructing undergraduate literature and writing classes, however, Cooper found that trans issues were rarely addressed in classroom curricula. One course Cooper taught was the university’s introductory writing course, Expository Writing. In this class, instructors must teach with a specific anthology that includes no trans women writers. This essentially bars discussions on trans issues from entering the classroom. In literature departments, classes are often tied to the English literary canon. While academia isn’t averse to trans issues, Cooper argues, implementing trans women writers into the classroom is difficult because of the hold that the canon has on curricula decisions. Without the express inclusion of trans women writers within the overarching curricula, trans issues end up falling through the cracks. Even so, Cooper believes that the onus is on instructors to make room for trans writers in academia. The lack of major publications in academia on trans studies, she argues, doesn’t necessarily justify the absence of trans writers in college classrooms. 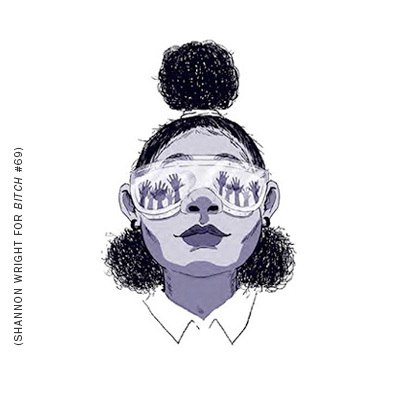 “When I think about representations of gender and identity in the past, I think there are opportunities to have those conversations. We’re just not taking advantage of that opportunity,” she said. Cee, Brea, and Cooper each come from different backgrounds. Cee’s studies are focused on technology in business, Brea’s around psychology, and Cooper’s in early modernist poetics. But all three women agree that the tone the professor sets in the classroom is monumental to the way students treat their fellow classmates. Professors lead by example and pedagogical decisions are simply no different. The inclusion of trans women writers in a gender studies class can significantly change the way cisgender students think about trans students. By the same token, the absence of a trans writer in a liberal arts classroom can negatively impact awareness of trans women on campus. Hopefully Cooper is right. But only time will tell if trans women writers become a staple in the classroom. Ana Valens is a freelance journalist and writer. Her work has been published in The Toast, Kill Screen, ZEAL, The Mary Sue, and Truthout. She can be reached on Twitter at @SpaceDoctorPhD, where she tweets about her upcoming zine, "Bell." In just days, TransLawHelp.Org springs up to offer legal resources for transgender people.